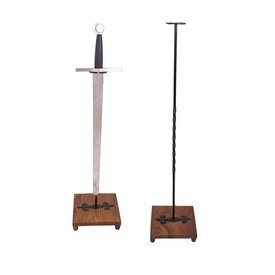 This single-handed sword has a length of 96 cm with a blade of 74 cm and weighs 1790 grams. The sword is made of 54SiCr6 steel with a Rockwell hardness of HRC 54 ? 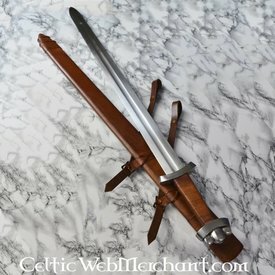 56. 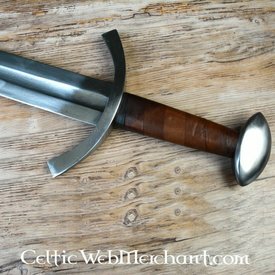 The pommel and cross-guard are made of steel. 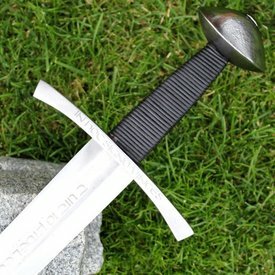 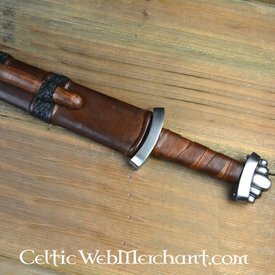 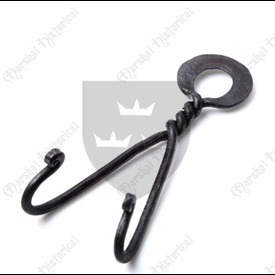 The sword has a cross-guard type Oakeshott 5 that was popular in the 13th and 14th century.